Have you ever had a question about Tri-County Humane Society and didn’t know where to find the answer? If so, you’ve come to the right place! If you don't see your answer here, contact us pets@tricountyhumanesociety.com or (320) 252-0896. Why do animals end up at TCHS? The vast majority – 85 percent or so – come from households that simply cannot take care of them anymore. There are many reasons a pet may be surrendered, and most of them have nothing to do with the behavior of the animal. Common reasons include: moving, allergies, cost of care, too many animals, unplanned litters, etc. Is Tri-County Humane Society a “no kill” shelter? Animals can stir a lot of emotions, so it’s understandable that the “no kill” movement is a sensitive one. However, it’s not as simple as it might seem. Most of the public believes if a facility calls itself “no kill,” that means no animals are euthanized there. However, to many of the organizations that use that term, “no kill” means they don’t euthanize any “adoptable” animals, not that euthanasia never happens. Complicating matters even more, what’s considered adoptable can vary widely among organizations. TCHS feels “no kill” is a misleading term that doesn’t reflect the realities of most animal welfare organizations, and that’s why we don’t use it. Under what circumstances does TCHS euthanize animals? TCHS does not euthanize animals that are candidates for adoption. We are an open-admissions shelter that accepts every animal in need regardless of age or physical condition. TCHS euthanizes an animal if it’s suffering from an illness or injury and treatment isn’t feasible, or if an animal displays behavior that is so aggressive that it could be a threat to public safety. TCHS does not have a time limit for its animals. As long as they are happy and healthy, they will be here waiting for a home – or in some cases, moved to a foster home while they wait for a home. Do you adopt out of state or country? We believe there are great people everywhere looking for pets, so we do not have any restrictions on where our adopters live. We have adopted out of state and even into Canada. We do not have a transport service. Is TCHS controlled by the counties or the city of St. Cloud? No. As a 501© (3) organization, TCHS is an independent nonprofit agency that is not controlled by any local government agency. TCHS is NOT a branch of the Humane Society of the United States or any other humane societies. Our primary source of funding is from donations and fundraising, with secondary support through adoption and surrender fees. Also, all the proceeds from our Re-Tail Shoppe support TCHS. Contributions from individuals, corporate support, and bequests make up a significant portion of our million dollar operating budget. Tax-deductible contributions to TCHS help us with cost of care for the animals, including but not limited to veterinary and housing expenses. Donations make it possible for us to accept thousands of animals a year into the shelter as well as educate the community about humane principles. Who investigates animal cruelty and neglect? TCHS does not have the resources to respond to complaints of animals being abused, starved, abandoned, exposed to the elements, or in need of veterinary treatment. However, we can provide you with information to contact an animal control agency or law enforcement to report such potential crimes. Don’t hesitate to ask. I can’t take care of an animal anymore. What’s the process for bringing it to TCHS? We recommend you make an appointment to bring your pet in. We schedule appointments to ensure that we have adequate space for incoming animals. Occasionally we will ask that you schedule out for a later date if all of our kennels are filled. If you cannot wait until the specified date, we will do our best to accommodate you. If it’s possible for TCHS to assist you in keeping your animal, we want to help. Please ask us about pet tips and resources. Why does TCHS charge to surrender animals? The expenses associated with preparing animals for adoption far exceeds the minimal fee that is charged. However, as a mission-based organization, we give special consideration to clients with financial difficulties and will not turn an animal away if the surrender fee is a hardship. How will I know if my pet got adopted? You can track your pet on our website, tricountyhumanesociety.org. It’s a live feed and the pets are automatically removed from the website when they are adopted. You can always call the shelter and we can tell you if it is in the building or not, but we can’t answer specifics about who adopted the animal for confidentiality reasons. Do you do background checks on adopters? No. We have an open adoption policy because we believe animal lovers come from all backgrounds and walks of life. We do have potential adopters fill out a pre-adoption questionnaire, and they will have a consultation with one of our adoption specialists. Why are your animals priced the way they are? Prices are determined by many factors, including size, age, breed, training, experience with children and other pets, etc. The animals that are most in demand – such as puppies – help pay for the care of the animals that may be at TCHS for a longer stay. The adoption price differences are based on the community’s preferences and demand – not the shelter’s belief that one animal is more valuable than another. The fee helps cover spay/neuter, microchip, vaccines and other costs. Can you call me if a certain breed of animal comes in? TCHS is a small nonprofit, and we can’t maintain a call list like that. 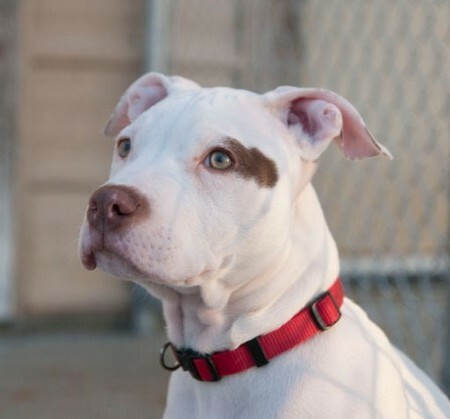 We encourage potential adopters to keep an eye on our website, tricountyhumanesociety.org. Call us at 320-252-0896 if you have questions about a specific animal or want to place a deposit over the phone. You can also use Petfinder.com. Have the animals had all of their shots? They’ve had their first set of core vaccines here, but they will still need boosters and a rabies vaccine. Your vet will let you know which ones you will still need to get and when to do so upon reviewing the medical record you’ll receive when you adopt. A rabies vaccine needs to be given by a licensed veterinarian and registered under your name, which is why it is not routinely given at TCHS. Many area vets help TCHS in one way or another, and we do not want to play favorites. We advise you do what you should do if you were looking for a doctor for yourself – do your research, compare costs and see who’s the best fit for your new pet. 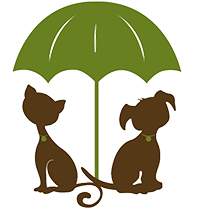 To help you, TCHS has a list of area veterinarians for reference in our adoption packets. Remember to ask your vet if he or she provides a discounted or free visit for a newly adopted shelter pet – many do. Can you euthanize my pet? We recommend that you consult your veterinarian regarding this service. If you do not have a vet or are unable to afford the fee at your vet, we can take your animal in for what we call an immediate evaluation. We ask that you set an appointment to bring your pet in where we will evaluate its health and decide if euthanasia is necessary. Rest assured that we have the animal’s best interest in mind and will follow your request if necessary, but we reserve the right to refuse euthanasia if we feel the animal is a good candidate for adoption. Please call the shelter at 320-252-0896 to set an appointment and for information about the fees for this service. Does TCHS work with local rescue groups? We have relationships with various organizations and are always interested in expanding our efforts in this area. Because we have a strong adoption program, we do not routinely transfer adoptable animals, but we do work with them on occasion to place special-needs pets. We also take in pets from other shelters and rescue groups when space allows. I’ve lost/found an animal. What should I do? Not all strays go to the same place. We will get some information from you and can direct you to the appropriate animal control agency. We can also take a lost or found report to assist you in finding your pet or the owner to one you have found. We do also have a list of other stray holding facilities and animal control agencies with which you can file a report. Is there a fee to bring a stray animal to TCHS? Yes. There is a $50 fee for stray animals, which covers the cost of boarding and advertising that animal for five days as required by Minnesota law before we can place them for adoption. Many cities, counties and townships include a stipend in their budget for strays found in their jurisdiction, so if the found pet is from an area that contracts with TCHS, they will cover the $50 fee. There are some jurisdictions, however, that do not budget for stray animals and instead put this responsibility on the finder. If you have found an animal in an area that chooses not to contract with a stray holding facility, we encourage you to write a letter to the city/township/county officials to request that they include funding for stray animals in their annual budget so the fees are not passed down to those who find them. We have a template for this kind of letter available for your convenience. Do you take in wild animals and wild birds? No, we aren’t licensed for wildlife rehabilitation. TCHS can direct you to wildlife rehabilitators.